Last little ones to be unpacked, cute little #dodecahedrons. 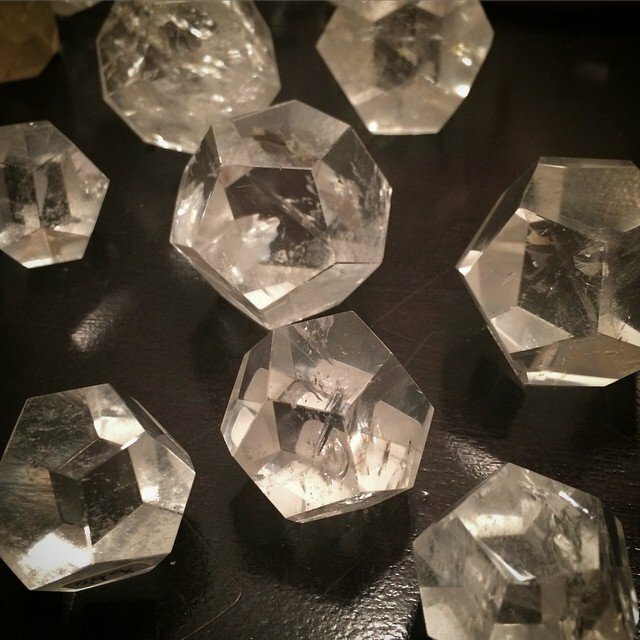 One of the 5 #platonicSolids, #Plato described the shape as what "… god used for arranging the constellations on the whole heaven". It represents the aspects of the Universe (Divine Creation) and is connected with the higher chakras, which hold the energies of meditation, awareness, #awakening, and higher #consciousness.